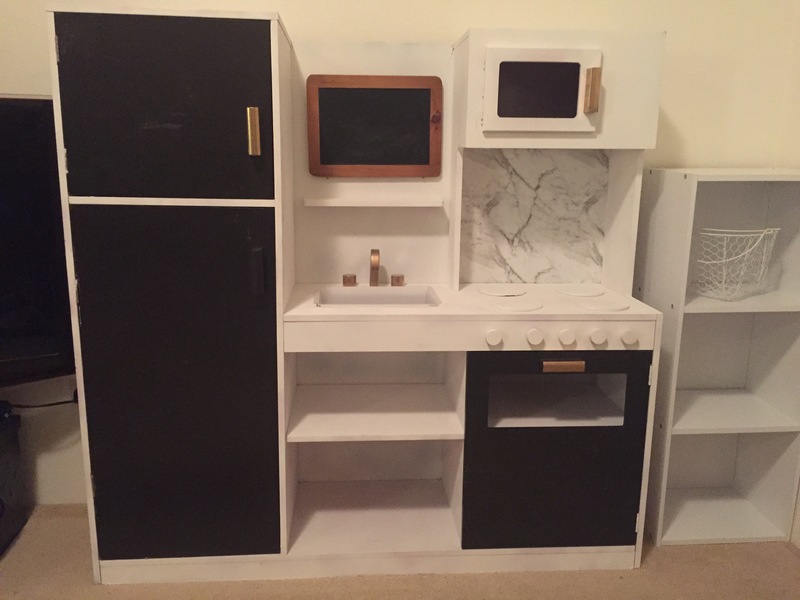 Our very own play kitchen make over is complete! 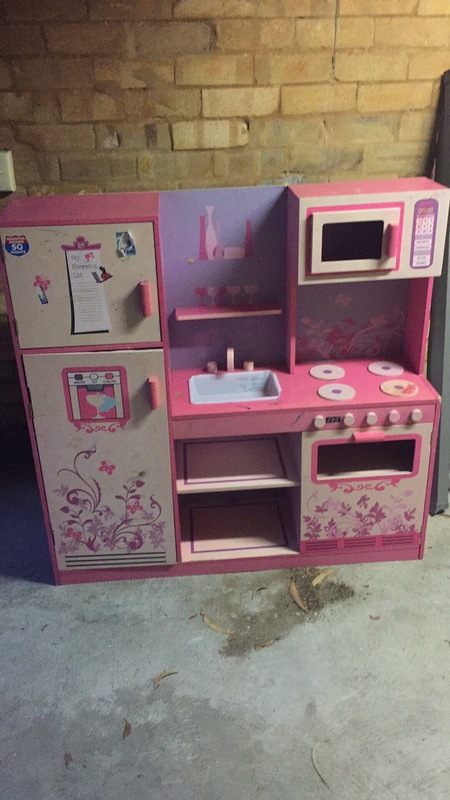 We picked up this pink, grimy Barbie kitchen from Gumtree (like Craigslist but for Australia) a few weeks ago and got to work on fixing it up for our little princess. 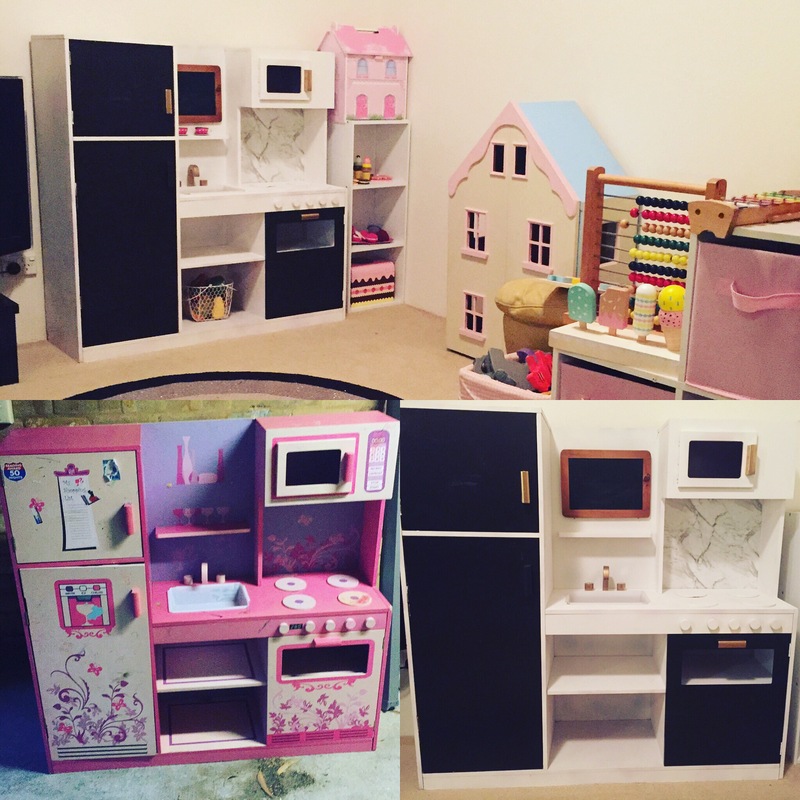 Our little Lottie is obsessed with her new kitchen and we look forward to many more tea parties and creative play this weekend!